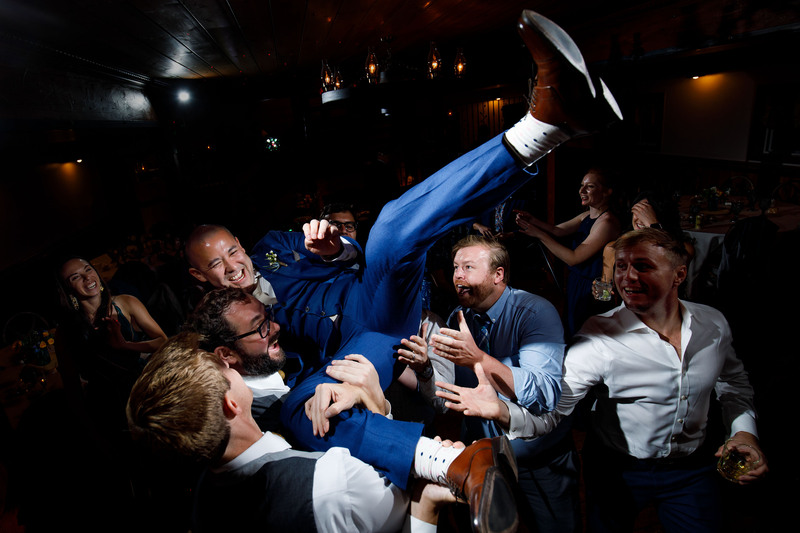 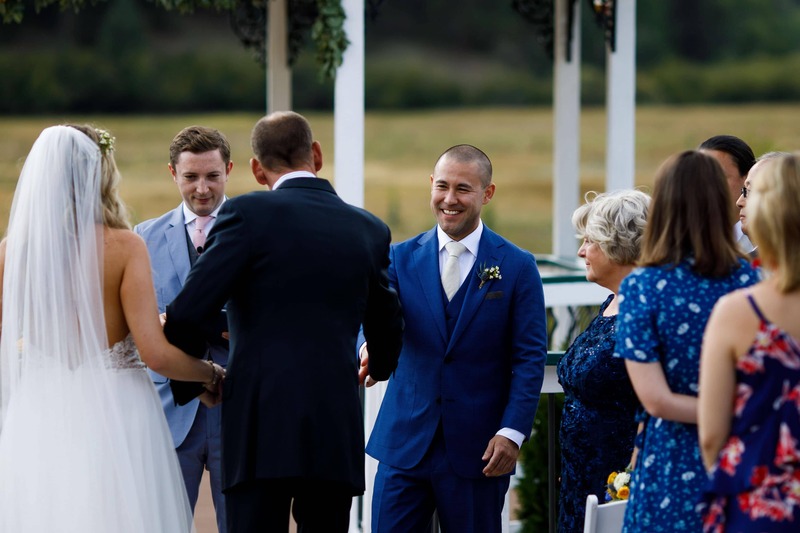 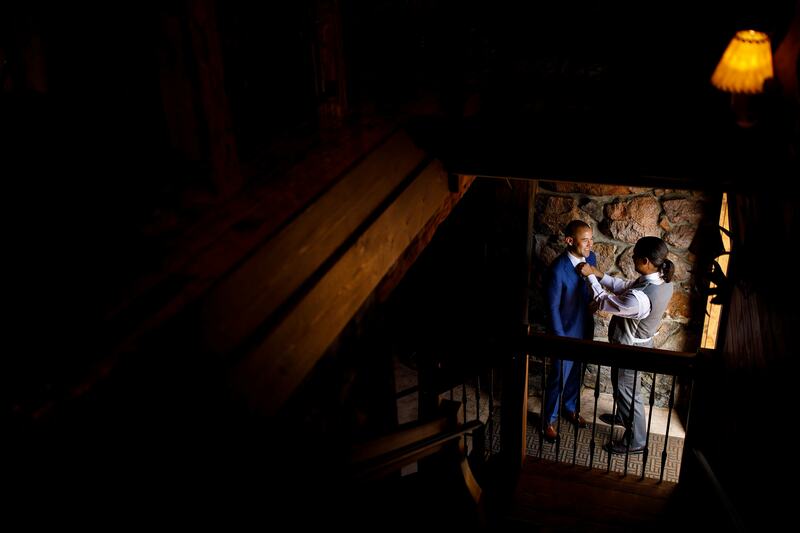 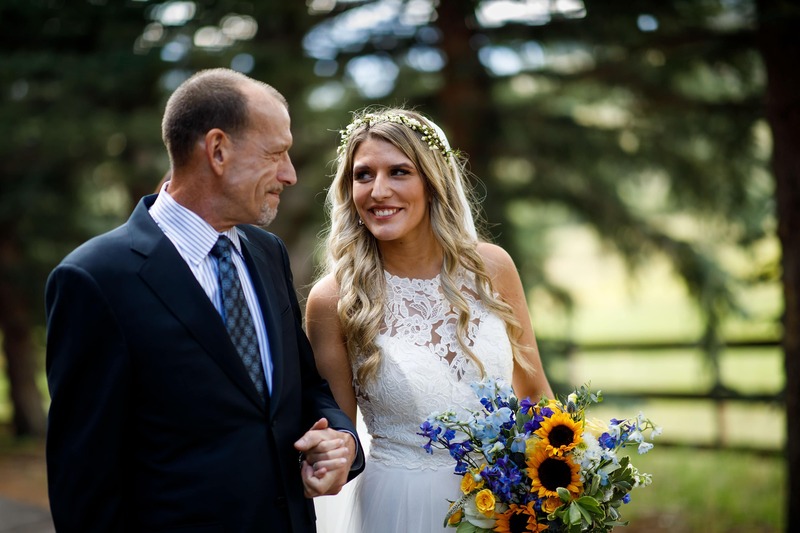 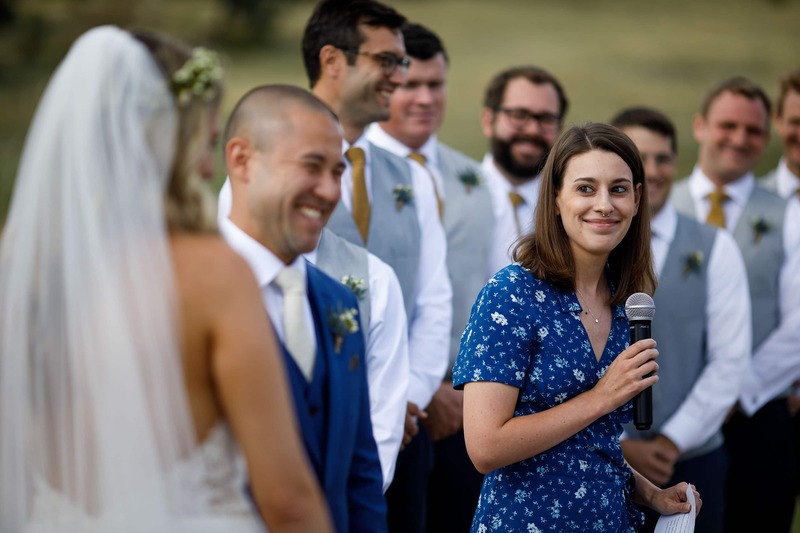 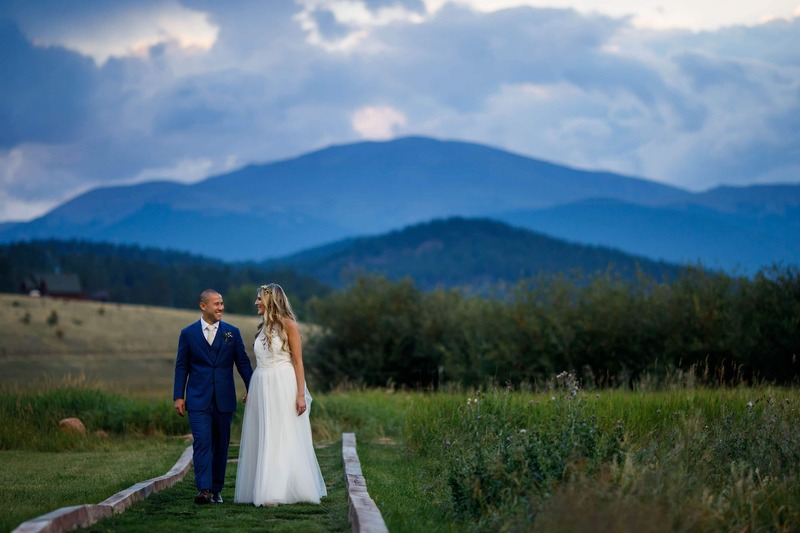 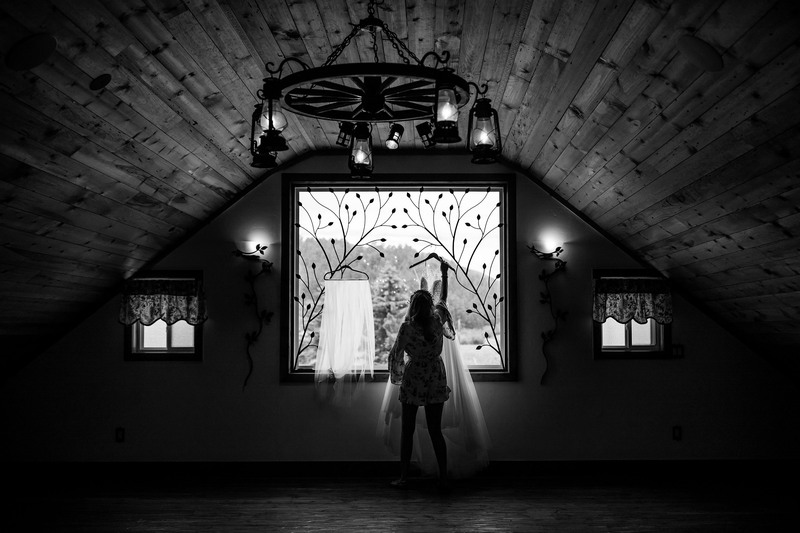 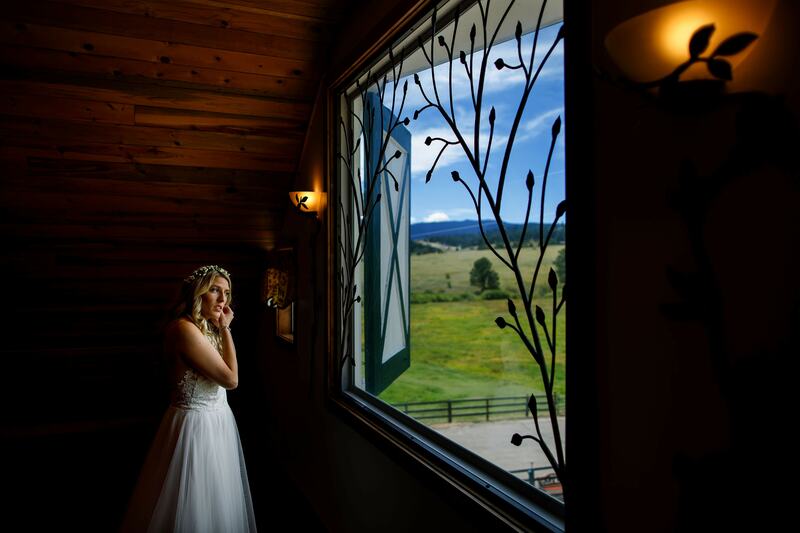 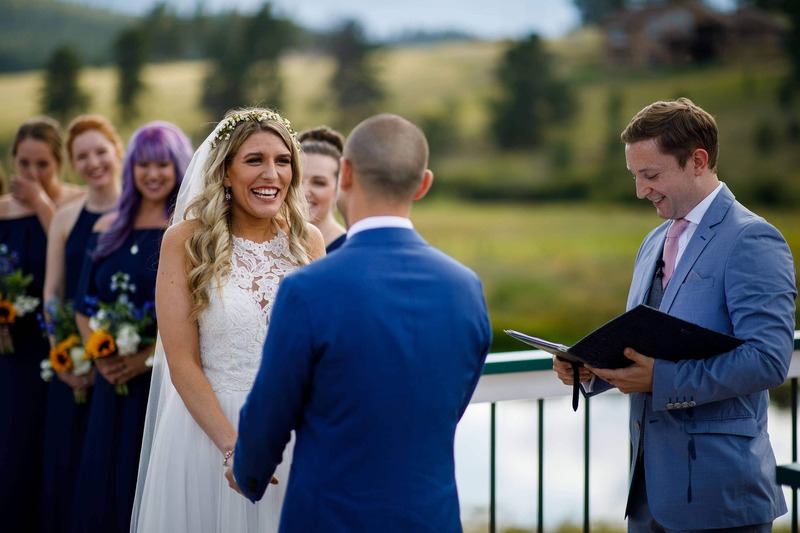 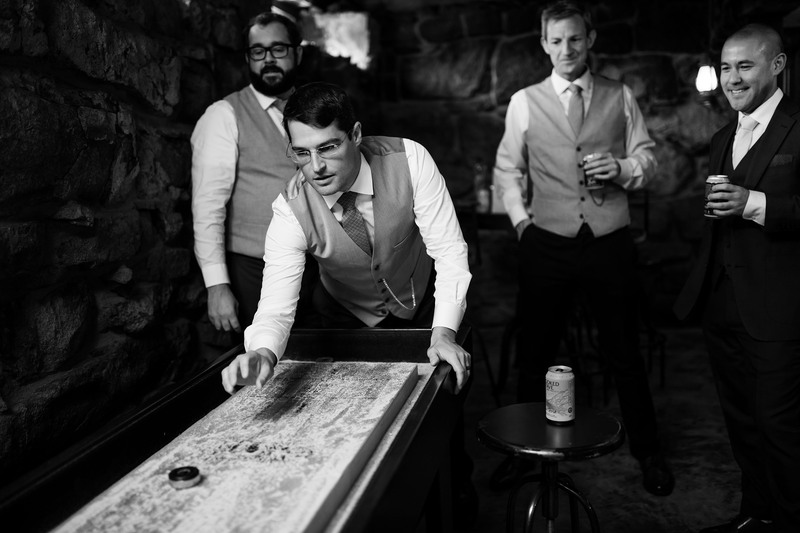 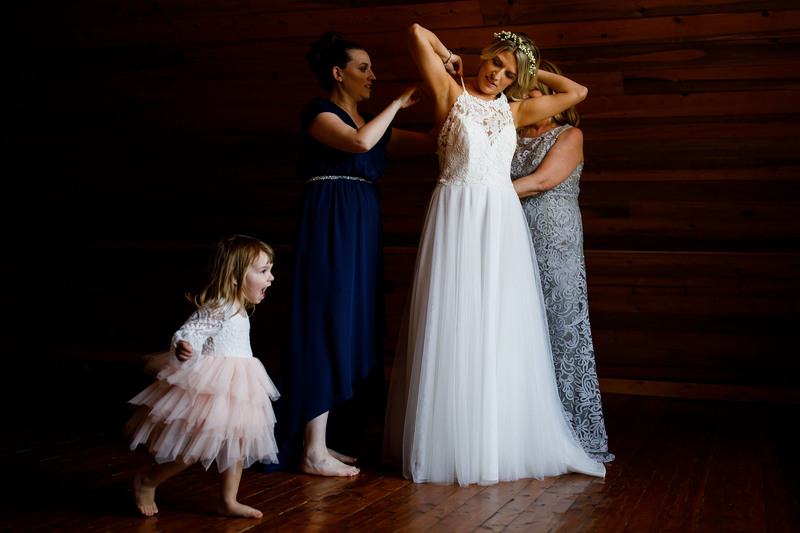 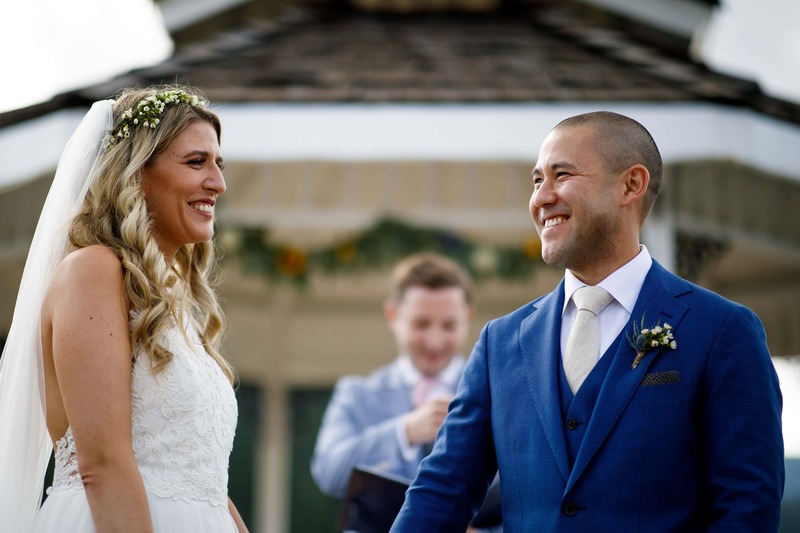 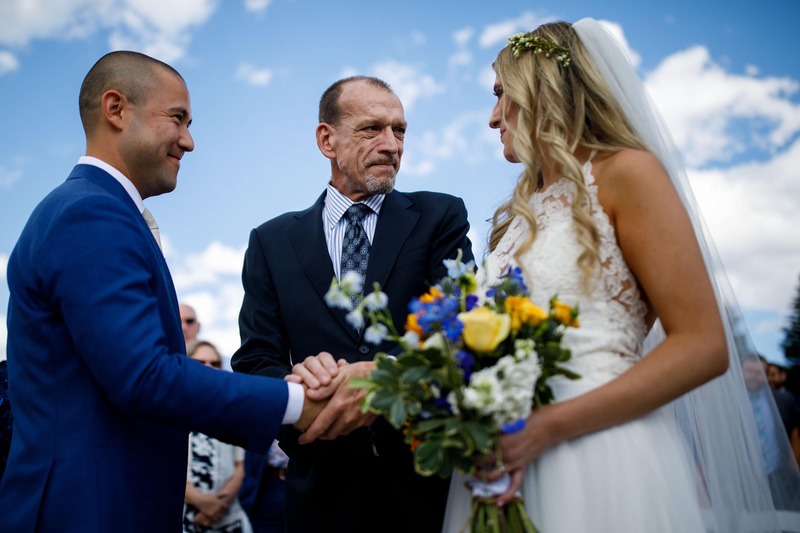 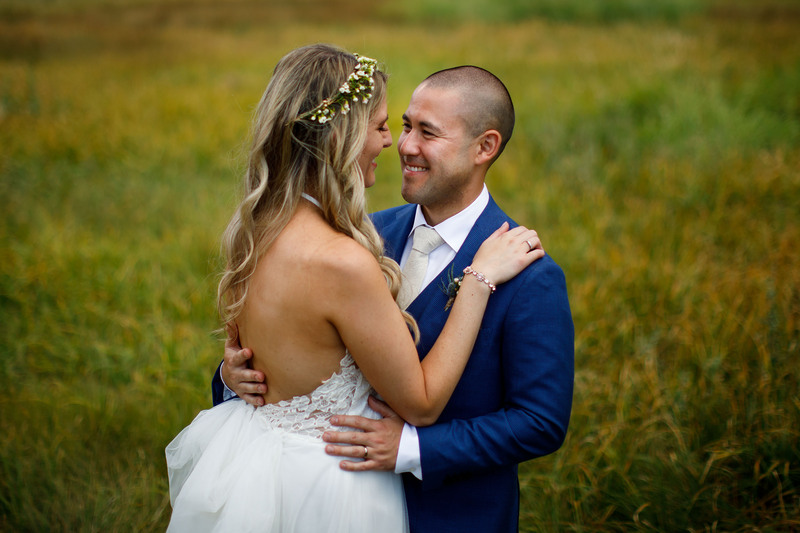 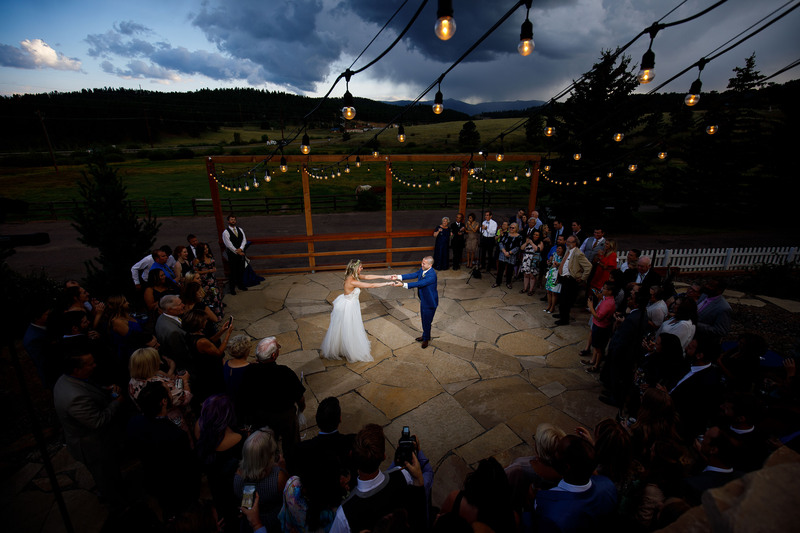 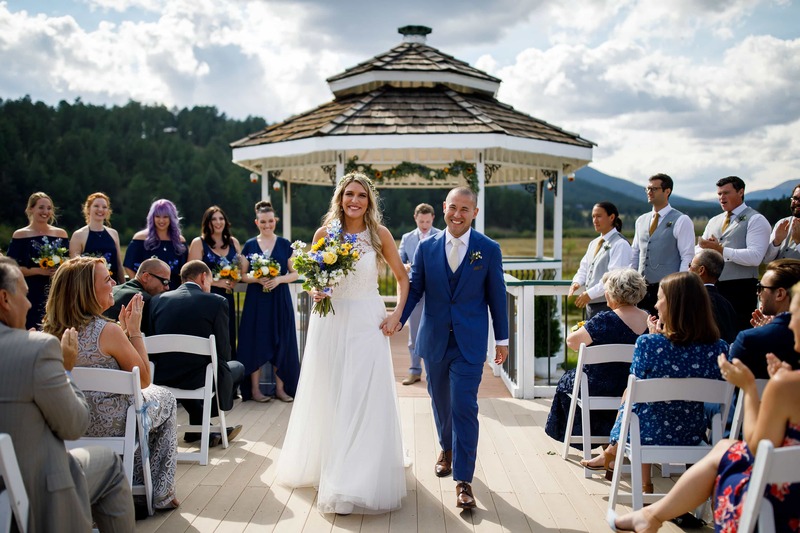 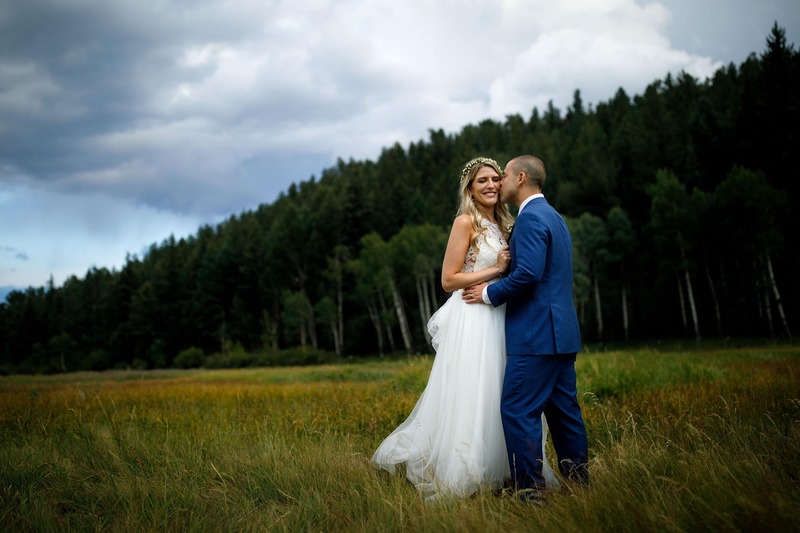 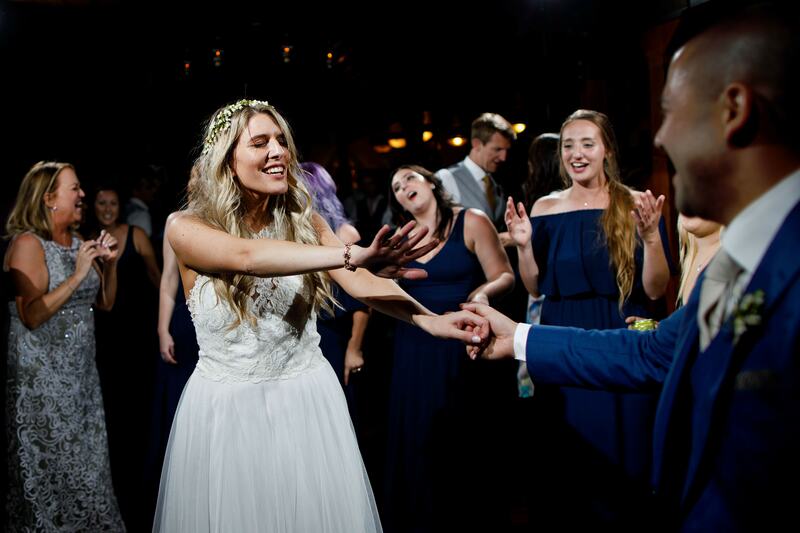 Paige and Adam’s families traveled out from the east coast for their summer barn wedding at Deer Creek Valley Ranch in the mountains near Bailey. 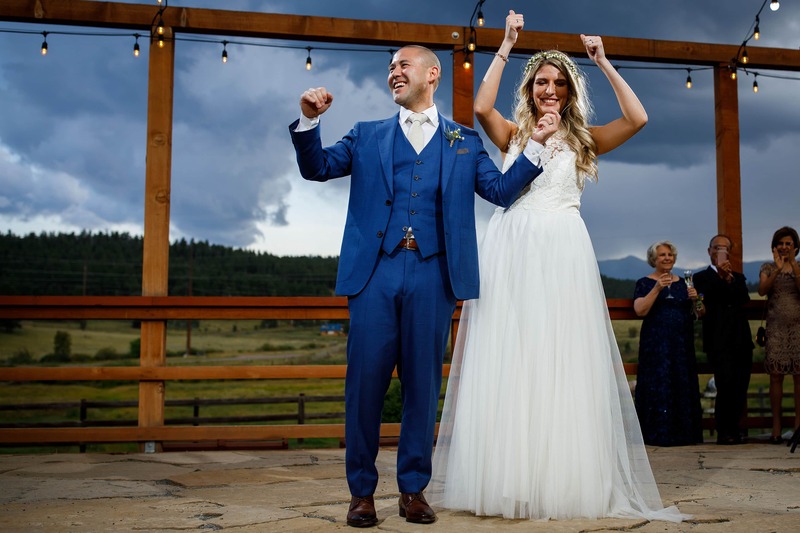 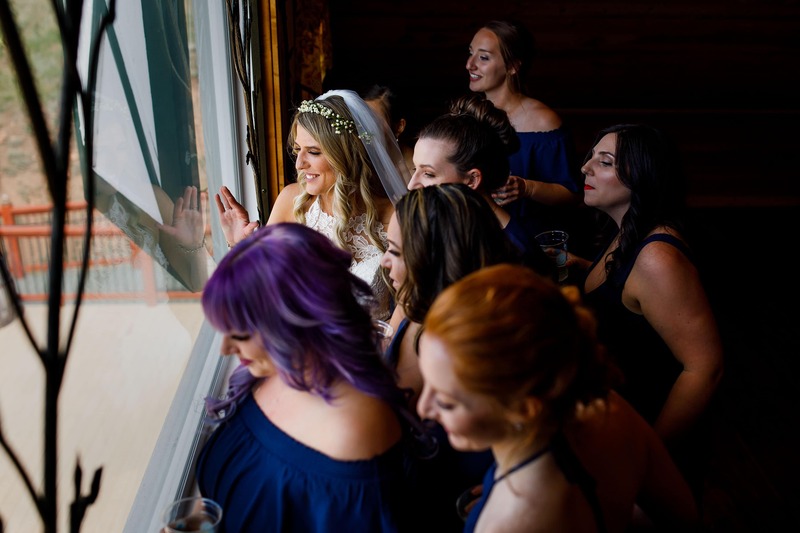 Almost everyone who attended the wedding was from out of state so it was a treat for them to experience what the centennial state has to offer. 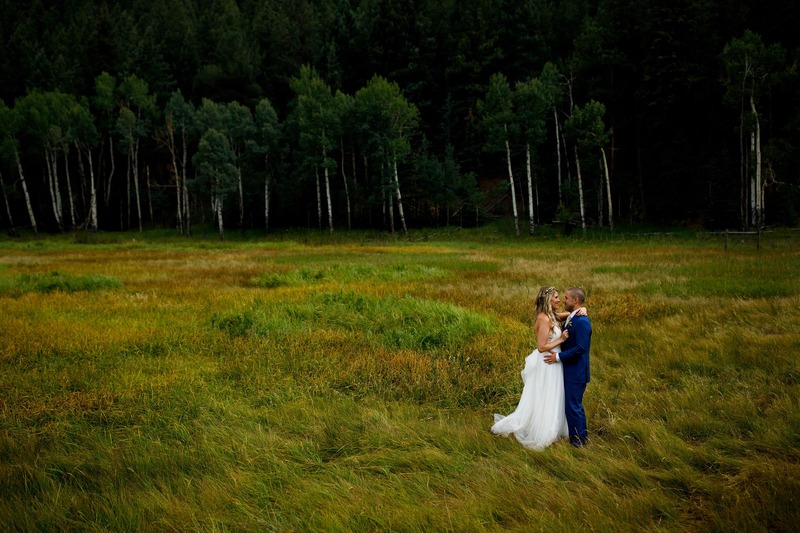 You might remember seeing Adam and Paige’s fall colors Golden Gate Canyon State Park engagement photos last year. 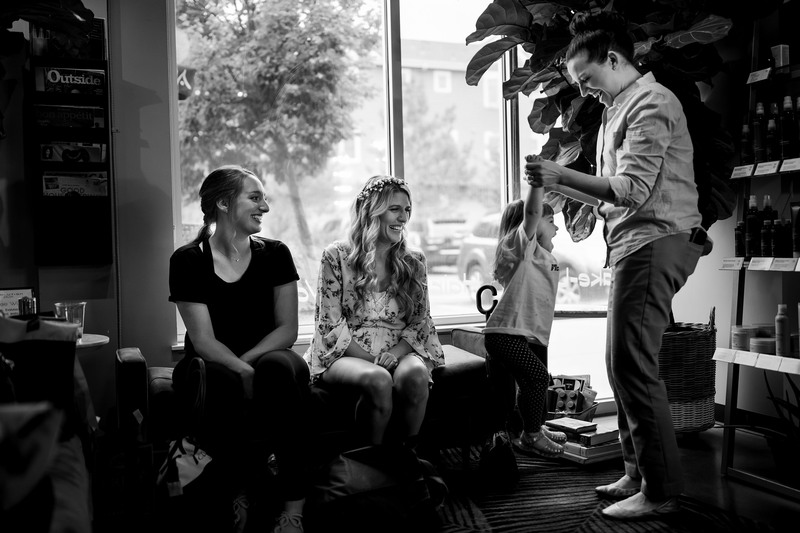 I started the morning with the ladies at Evolution Salon while Travis documented Adam and the guys getting ready at the barn. 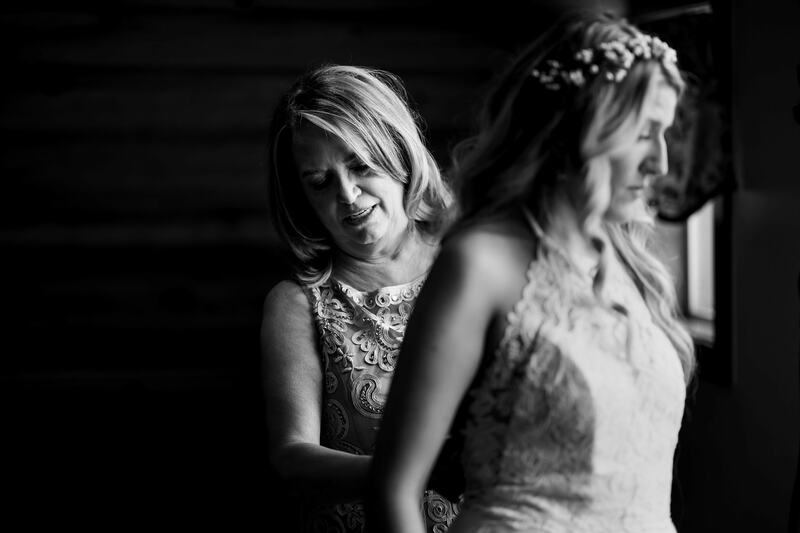 Throughout the entire day there was a variety of emotions and moments that stood out from their day. 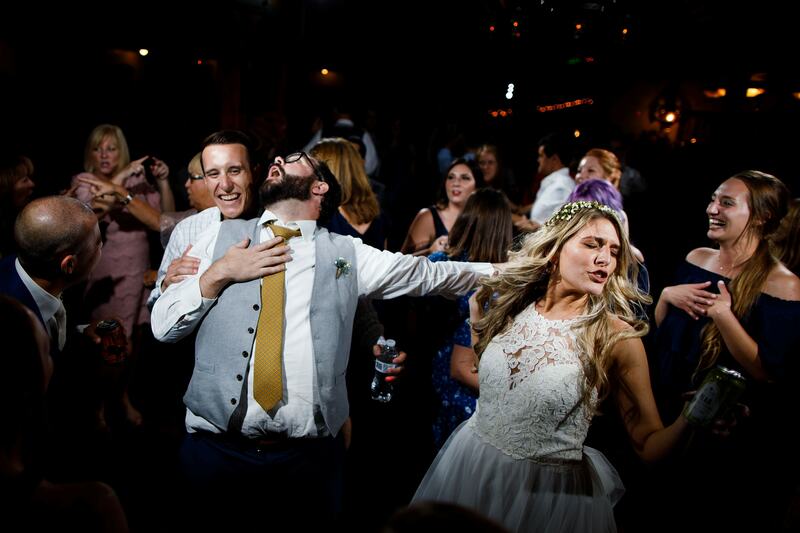 Paige’s niece Margo was determined to steal the show while the groomsmen made sure that the party never stopped. 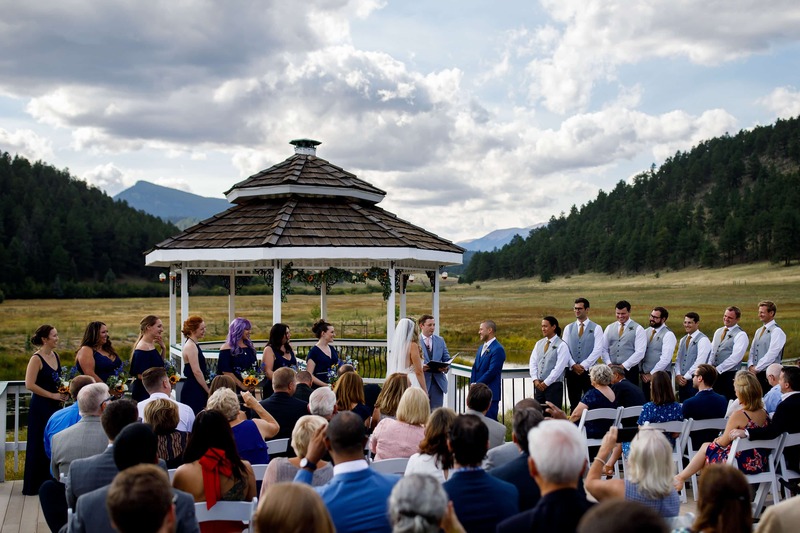 Their ceremony at the gazebo was short and sweet but encapsulated their love for each other perfectly. 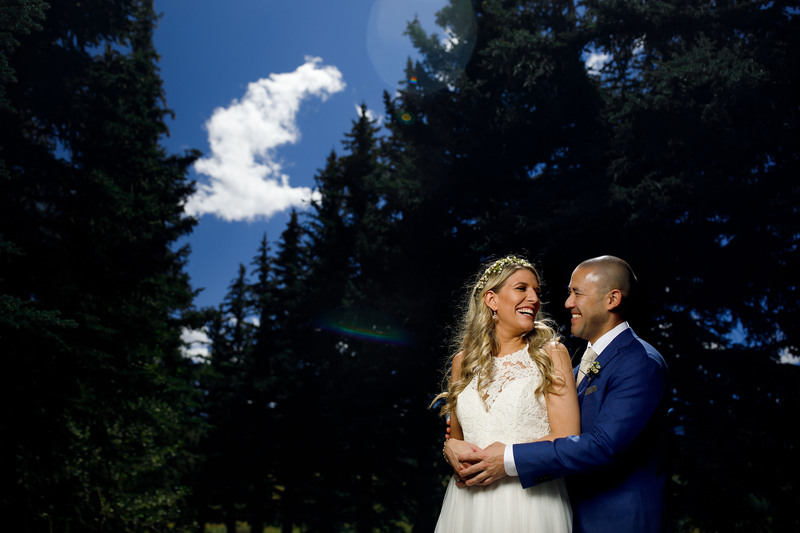 The back of the property is gorgeous this time of the year which provided a great location for portraits with the newlyweds. 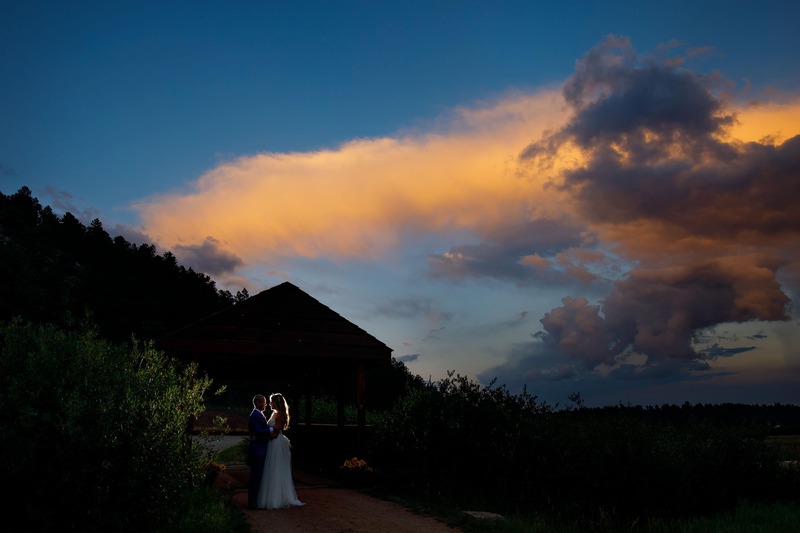 We even saw a pair of 10-point bucks enjoying the meadow as the sun set. 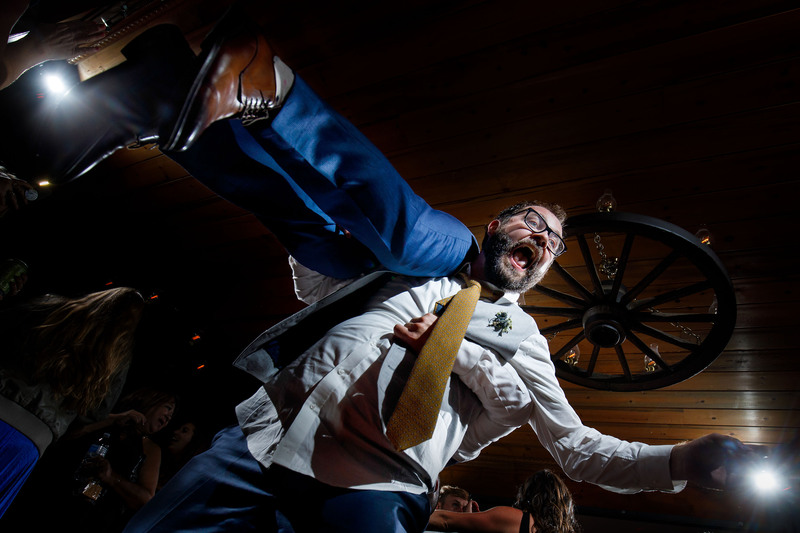 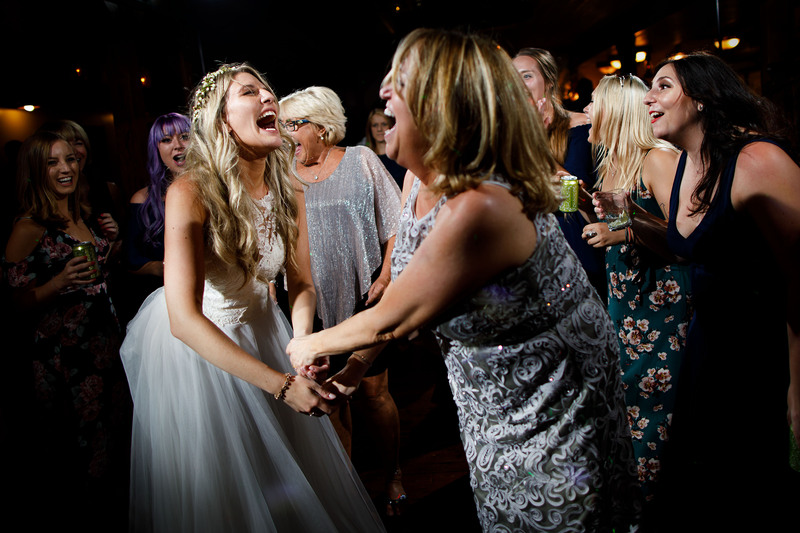 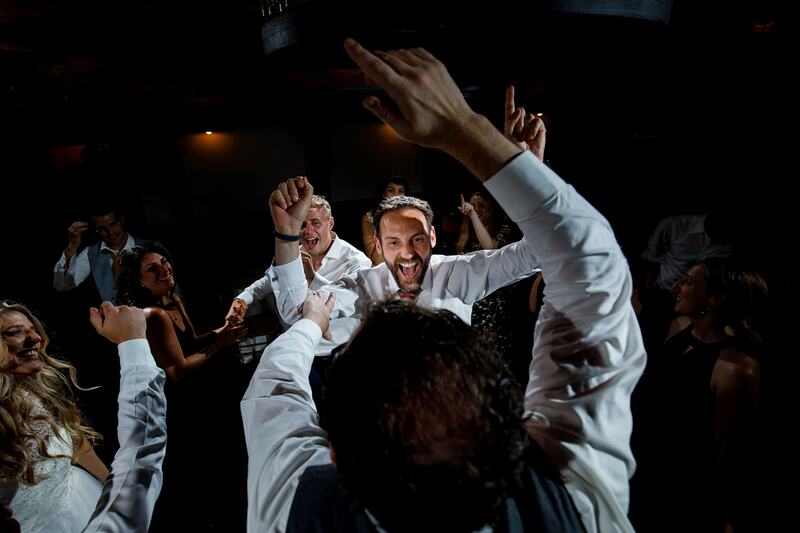 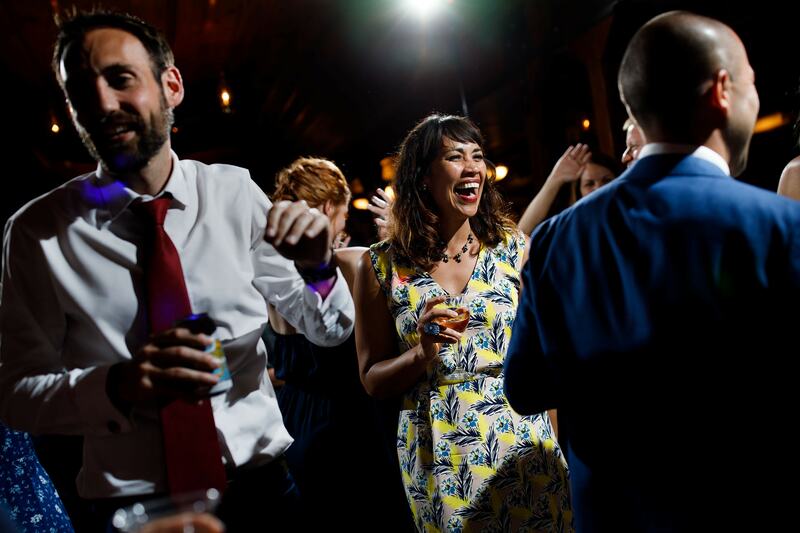 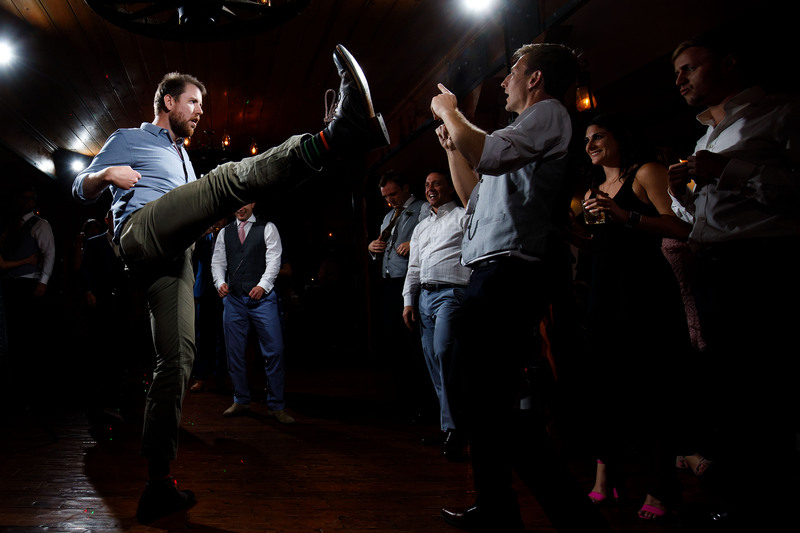 From the moment first dance ended, their friends and family raged right along with them on the dance floor. 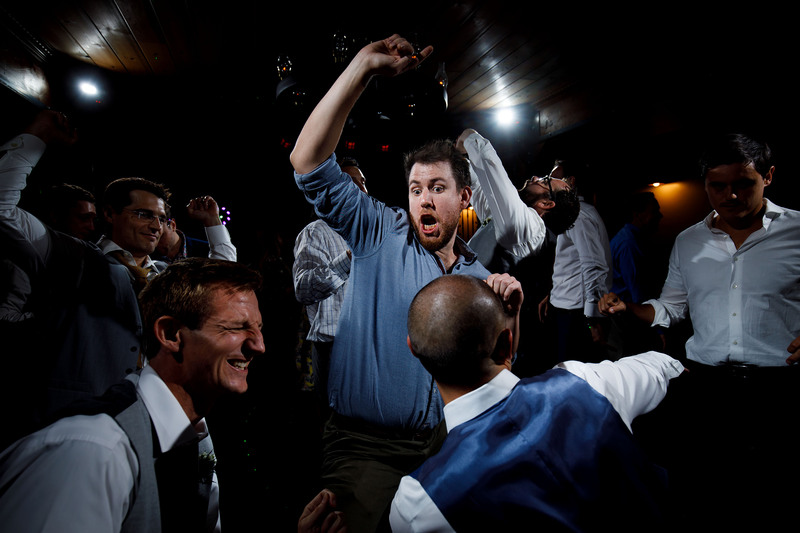 The dance floor was packed all night and didn’t stop until the busses rolled out to the afterparty. 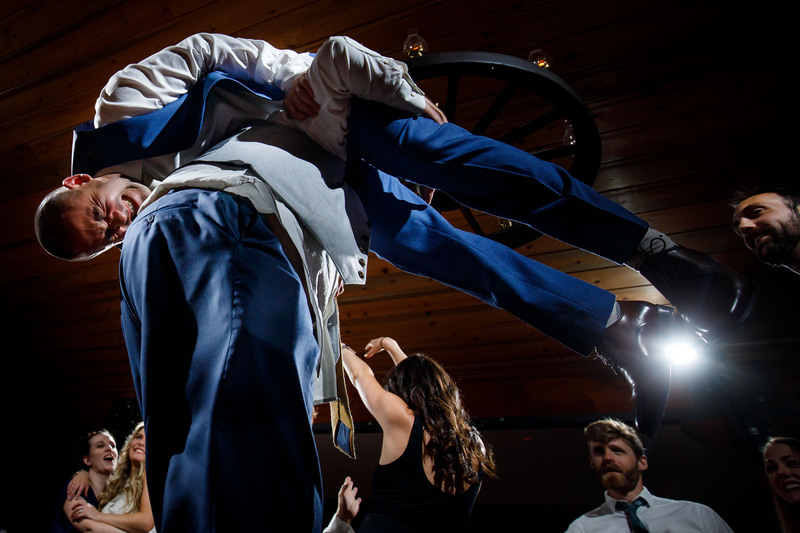 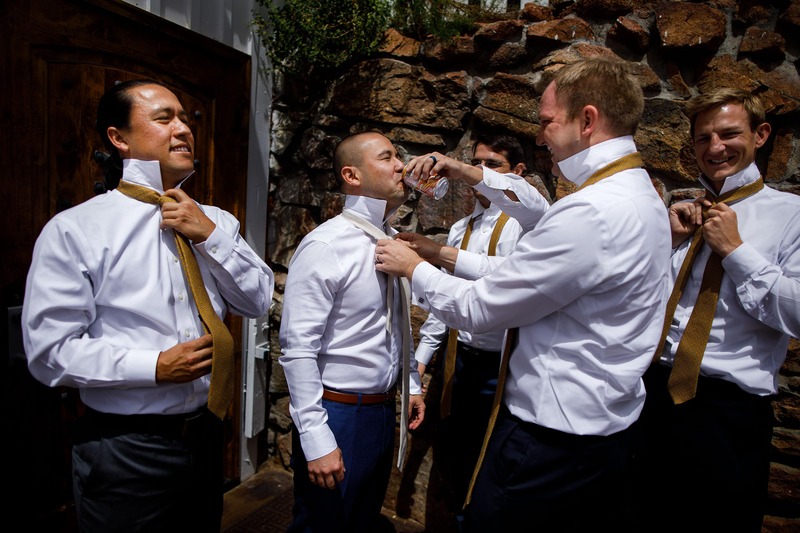 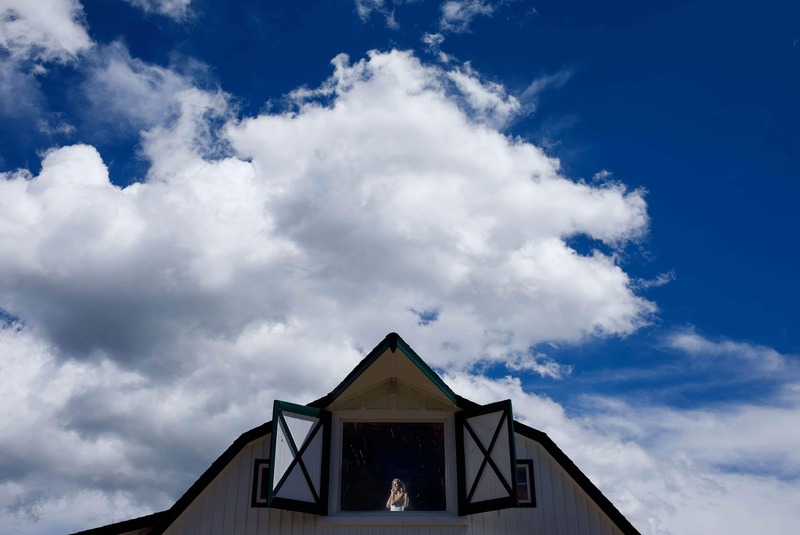 We had so much fun capturing their summer barn wedding at Deer Creek Valley Ranch. 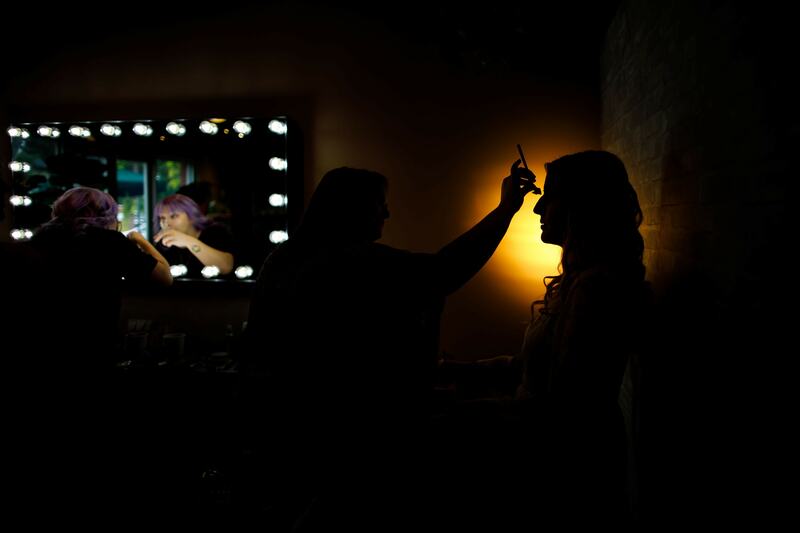 I owe a huge thanks to Brittany from Prive Events as well as Cece and Emma from DCVR for helping the day run smoothly.